Found this virtual deck floating on the interweb. Thought it'd be nice to throw on here! I, cjc83486, didn't create any of this. If you feel like attributing (not required) please follow directions below. I doubt they can be used under CC0. King, Queen and Jack images look like they were auto-traced from scanned images (you can tell from the stacked structure). Good point, I did some research and dug in a little deeper. I don't have a concrete website (what I call a concrete website) to back up this author's claim that his cards are public domain. 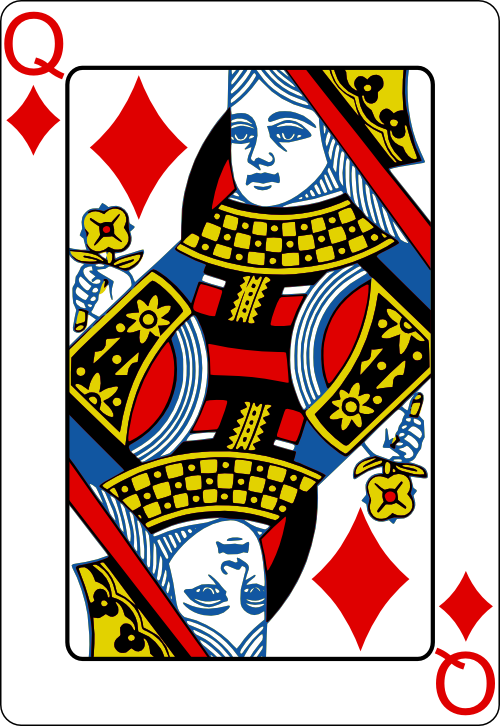 However, every forum or website I've found has said that these standard face card graphics are now in the public domain. They were used in the 1800s and haven't been copy righted for some time (Bicycle still uses them obviously, so that's why everyone recognizes them). These cards were created with inkscape.. I'm wondering if he traced the face graphics to make them vector art.. thus thats why it looks traced. 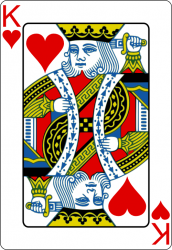 The one vital thing you really have to look out for in playing cards (with the standard faces) is the jokers, ace of spades, and the back designs. Since these Jokers look sub-par, I'm very confident he created them from scratch. Also, it seems this deck doesn't have any backs to them, thus you can forget about that ordeal. The only thing that makes me a little uneasy is the Ace of Spades. 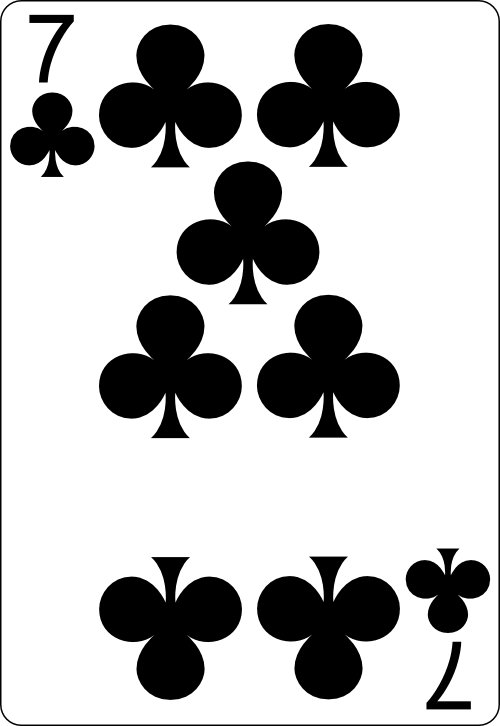 I don't know if that center spade is public domain, I'll try to look a little further. I'd advise anyone using these images to perhaps replace the center spade on the Ace of Spades.. other than that it seems to all check out. From everything I've read the face graphics are fine to use. As far as Arial Font goes.. I'm unsure if he used Arial Font (looks like it) and if it is find to use in a card game? Is there a font package that comes with inkscape? If so does it include Arial font or do they have substitute fonts? I can't fathom why anyone would ever bundle Arial with Inkscape... I use it, and have no memory of Arial being part of it (nor is that possible legally I think). Arial font is just a word in the svg file but it is used in the png files. It is not really a problem. Ace of spades is by Suzanne Tyson. But I couldn't find anywhere where she states that it is public domain. Faces are from Bicycle Playing Cards by United States Playing Card Company http://playingcards.wikidot.com/bicycle from late 1800s. They must be public domain.